(Bloomberg) -- UBS Group AG is evaluating options for its asset management unit, including a partial sale or merger of the business, according to people with knowledge of the matter. The Swiss bank has considered seeking to acquire Deutsche Bank AG’s asset manager DWS Group, potentially to combine it with its own business and spin off the two as a separate entity, the people said, asking not to be identified because the matter is private. UBS may still keep the unit unchanged and discussions may not lead to a deal, they said. Asset management, which offers funds for retail clients and institutions, is the smallest unit of UBS, whose main focus is on the more lucrative wealth management -- the tailored business of overseeing the fortunes of the rich. While margins in both businesses are under pressure, asset management in particular has been hit by an investor flight into cheaper, passive funds. Unit head Ulrich Koerner has been overhauling the business since 2014. 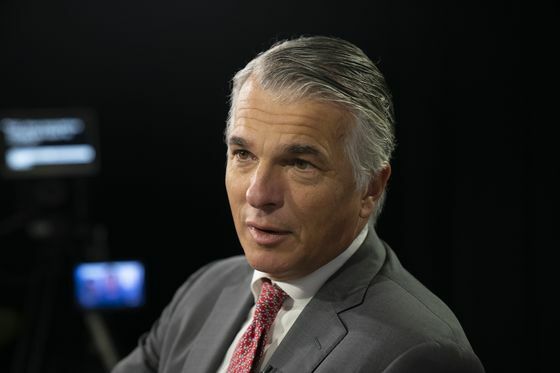 UBS’s board is considering acquisitions and other ways to grow the asset management business -- which oversees about $800 billion -- to ensure its long-term survival and fight off competition from U.S. rivals. The company has been assessing the market for at least a year as dealmaking picks up across the industry, according to the people. UBS shares extended gains on the news, rising as much as 1.9 percent in Zurich. DWS gained as much as 3.7 percent in Frankfurt. A representative of UBS declined to comment. Building scale has become essential for asset managers across Europe amid pressure from larger, more technologically advanced U.S. rivals. Allianz SE is exploring a possible combination of DWS with its own asset management business, sources said last month. DWS suffered more than 22 billion euros ($25 billion) of redemptions last year. But mergers also carry the risk that clients that are invested with both firms flee to avoid having all their eggs in one basket. Standard Life Plc and Aberdeen Asset Management Plc merged in 2017, only to suffer a wave of client redemptions. While asset management is the smallest division of UBS, its a dependable contributor to profit that doesn’t require as much capital as the Swiss bank’s investment banking operations or lending to high-net-worth clients. Koerner’s revamp has helped reverse outflows, although it has also reduced margins. 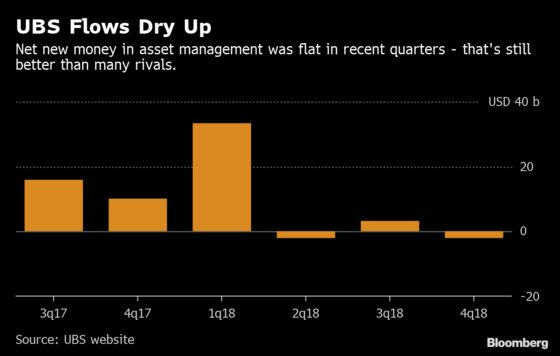 Some UBS managers want to spin off the unit, which is partly dependent on flows from the $2.3 trillion that the bank manages for wealthy individuals. Almost 30 percent of assets, or $219 billion, of the money in asset management comes from wealth management clients. Others don’t want to change a business that provides stable returns and is growing assets. A key issue in any tie up will be which company retains the majority of the combined company. Koerner, 56, has previously hinted at deals: last year he said his asset management unit could consider deals after not being in a position to do so for years, though the principal strategy remains organic growth. He expects companies managing between 50 billion and 500 billion Swiss francs are most likely to be bought as the industry consolidates.